The Bake Factory has some amazing English breakfast options and has a range of baked goodies too. 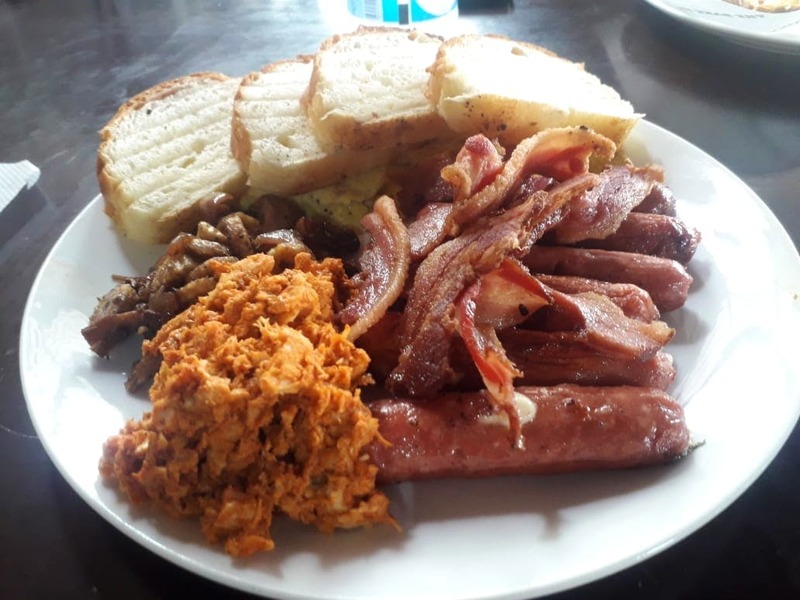 My personal favourite is the Carnivore Feast which has chicken sausages, bacon, pork sausages, pulled chicken, mushrooms, and toasted bread. You can choose your beverage, there's an option of coffee and juice. The service could definitely get better as nobody turns up at your table until you go check with them and they are often occupied with online orders, so a separate counter for online orders would do wonders.